PICTON, ON – Two days after hosting an Ontario Government press conference announcing the return of $1-per-bottle/can minimum retail pricing for beer in the province, Barley Days Brewery has confirmed its entry in to the “buck-a-beer” market. According to Barley Days general manager Kyle Baldwin, Loon Lager (4.5% abv) will be a “top-quality craft beer that every Canadian can afford.” Further details about the beer, such as ingredients and tasting notes, were not announced. Barley Days is the first Ontario brewery to announce its intention to participate in the “Buck-a-Beer Challenge” in which breweries will receive promotional incentives from the LCBO if they launch a beer at the $1 price point. On the contrary, numerous craft breweries have made statements indicating that they will not be participating, and none of the major breweries have made any comment on the program. 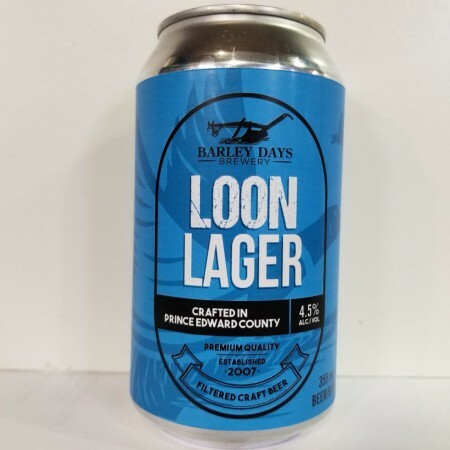 Barley Days Loon Lager will be available in 355 ml cans retailing for $1 plus deposit at select LCBO stores by August 27th. For more details, see the full press release.